Colonial and cosmopolitan and a place where the Old World meets modernity, Massachusetts is one of the country’s most popular vacation states. 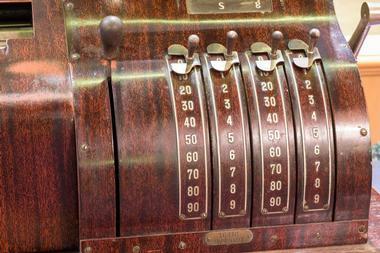 In addition to the historical landmarks and spectacular scenic beauty, Massachusetts is also a great place to shop, and the state has a plethora of flea markets in all corners of the state for antique aficionados, bargain hunters, and vintage lovers. 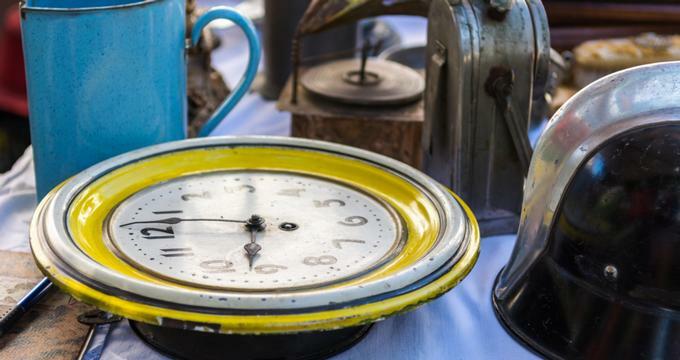 The Brimfield Antique Flea Markets comprise a number of world-renowned flea markets that run three times a year, in May, July, and September, and attract more than 50,000 bargain hunters from all over the country to search for treasures. 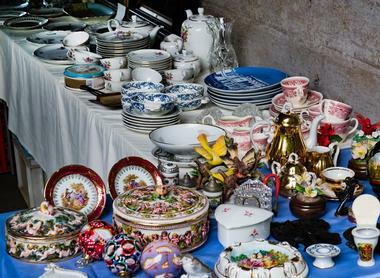 Established over 50 years ago, the Brimfield Antique Flea Markets feature 21 independent shows and thousands of antiques and collectibles dealers who offer a wealth of antiques, collectibles, and bric-a-brac. 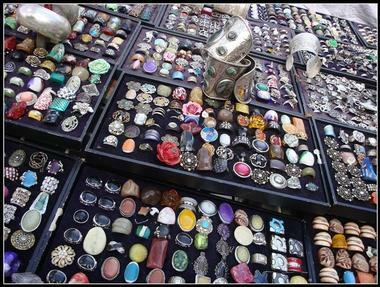 The seasonal market boasts outdoor stalls and tents manned by vendors selling all sorts of items from vintage furniture and home decor to arts and crafts, retro objects, antique jewelry, and more. The Cambridge Antique Market features over 150 vendors in a multi-story complex and is one of the best places to find one-of-a-kind antiques. Open every day of the week except Mondays, the vast space features five floors of fantastic treasures from antique furniture and vintage lighting to ornaments, collectible toys, nostalgic food containers, retro bicycles, and 1950s collectibles. Vintage fashion lovers will delight in the variety of retro clothing and timeless accessories, while trendy fashionistas can choose from a range of designer brands and bargain buys. Located about 5 miles from Sturbridge on Trolley Crossing Road, the Charlton Antiques & Flea Market is open year round and sells a variety of items from antiques and collectibles to new merchandise and grocery goods. 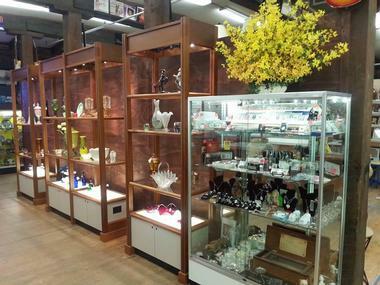 Established by owners Mike and Jill over 12 years ago, the market is a valuable platform for both buyers and sellers, with approximately 75% of the stock dedicated to antiques and collectibles. On Sundays, a full-service kitchen offers house-roasted coffee and a delicious breakfast and lunch menu to keep hunger at bay while hunting for treasures. One of the oldest flea markets in Massachusetts, the Grafton Flea Market boasts a vast selection of both indoor and outdoor vendors and is a perfect stop for all-weather shopping. Established in 1970, the famous market is open every Sunday from 5:00 am onwards and features acres of stalls selling all sorts of items and objects, from antiques, clothing, and jewelry to home decor, furniture, and garden gear. The Grafton Flea Market also has a busy on-site restaurant that serves all-American fare such as burgers, hot dogs, ice cream, and more. 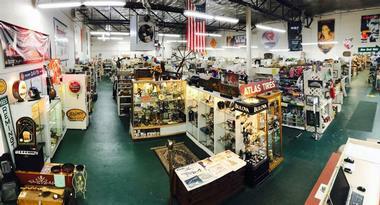 There are a small entrance fee and ample free parking for unlimited time. 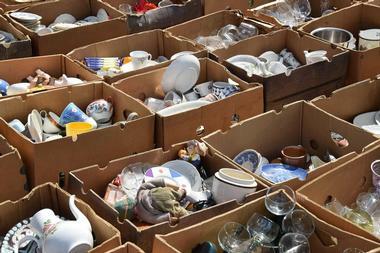 Located in Brimfield, the Green Acres Flea Market sells a variety of antiques and other bargains. Founded in the 1980s by George and Doris McCurdy, who have since passed on, the market has been an integral part of the Brimfield Antique and Collectible Shows ever since. Now managed and run by their three sons, the Green Acres Flea Market hosts over 90 vendors from around the country and Canada who sell a wide array of old and new treasures, including vintage furniture, home decor, garden goods, clothing and jewelry, children’s toys, and more. There is ample parking for more than 300 cars, and the market is open three times a year, in May, July, and September. Located in a historical 19th century New England-style barn with post and beam ceilings in State Street in Granby, Kev’s Barnyard Flea Market is one of Massachusetts’ most popular flea markets. Established in June 2010, the market is open Wednesday through Sunday from 10:00 am and is spread over two levels, with numerous vendors selling a wealth of merchandise and unique items from antiques and vintage objects to furniture, china, and other bric-a-brac. The multi-dealer flea market co-op boasts a friendly, welcoming atmosphere and features new vendors every month, which keeps it interesting. There is ample free parking for plenty of cars in two gravel parking lots outside the venue. Set in a big, red barn, Oldies Market is a family-friendly market with a distinct nautical flair that is filled to the brim with rare treasures and exciting finds. Located in seafaring Newburyport, the indoor/outdoor marketplace is the perfect place to find everything and anything including home decor and furnishings, oriental carpets, fine art, vintage toys, china and porcelain, antique clocks, and sterling silver pieces. 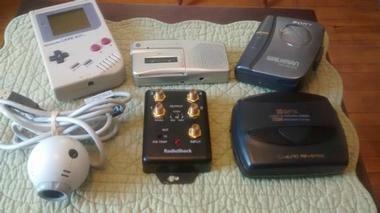 Oldies Market also accepts quality consignments, so those with hidden treasures can bring them along. The market is wheelchair accessible and has ample free parking for visitors. Located just under an hour’s drive from downtown Boston, the Raynham Flea Market features over 57,000 square feet of space, housing more than 500 vendors who sell an array of antiques, vintage items, and collectibles. Open every Sunday from 8:00 am to 5:00 pm and on Saturdays from Thanksgiving through until Christmas, the Raynham Flea Market sells a plethora of goods from vintage records and home electricals to furniture and beauty products, clothing, and jewelry. The market features both indoor and outdoor spaces, including over 10 acres of outside vendor space, where dealers are able to sell their wares on a weekly basis. Shoppers can enjoy a delicious meal at the market’s onsite restaurant or grab a snack at one of the many snack bars and food vendors around the market. Revere Swap N Shop is a bustling flea market on Squire Road in Revere that sells a wide variety of antiques, collectibles, and bric-a-brac. 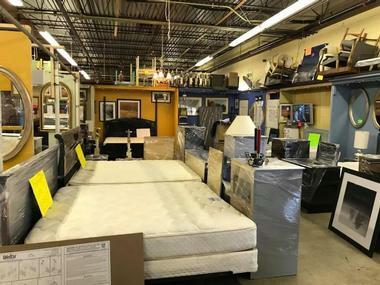 Open on Saturdays and Sundays from April through December, Revere Swap N Shop sells all sorts of items and objects, from antiques, clothing, and jewelry to home decor, furniture, and garden gear. The market is free to enter and explore on Saturdays and charges a small fee on Sundays, and there is ample free parking near the venue. The Rietta Flea Market is located in Hubbardston and is easily accessed from several cities such as Worcester, Springfield, Boston, and Manchester, and Brattleboro in Vermont. Established more than 5 years ago, the Rietta Flea Market is open on Sundays from April to November (weather permitting) and hosts hundreds of dealers and vendors who sell a variety of items and goods. Visitors can find treasures from an array of goods such as home decor and vintage furniture, antiques, and collectibles to children’s toys, gardening and fishing equipment, and more. The Salem Flea Market is an indoor/outdoor flea market located in Salem, New Hampshire, and is open on Saturdays and Sundays all year round. Established more than 30 years ago, the Salem Flea Market sells new and used items, ranging from antiques, collectibles, and vintage pieces to furnishings, home decor, gardening gear, children’s toys, and more. There are several food concessions around the market for hungry shoppers to grab a snack, and there are public restrooms inside the building. Located on the grounds of the historic Seekonk Speedway, the eponymous Seekonk Speedway Flea Market is open every Sunday and sells a large variety of old and new treasures and treats. The friendly and welcoming market draws a vibrant crowd on Sundays, who come to bargain and haggle over all sorts of items, from clothing, jewelry, homeware, and furniture to antiques, vintage items, garden and car accessories, and fishing equipment. The market also features several food vendors and concession stands selling food and drinks and has over 3,000 parking spaces for cars. 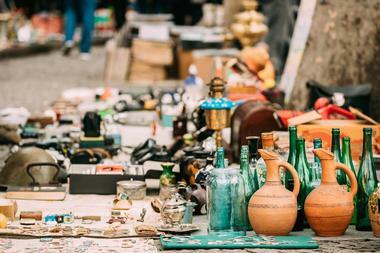 The SoWa Vintage Market on Harrison Avenue is arguably Boston’s favorite weekly vintage flea markets, and it draws a large crowd of bargain hunters and antique lovers who come to find rare treasures and special gifts. The seasonal hipster flea market is open every Sunday from 10:00 am from early summer through mid-fall and hosts a carefully selected range of vendors that sell a plethora of items from vintage clothing, jewelry, and rare antiques to beautiful furniture and arts and crafts. The market also features a farmers market that sells fresh fruit, vegetables, dairy, and other fresh produce from local farmers and producers, and has plenty of delicious food trucks for hungry shoppers. 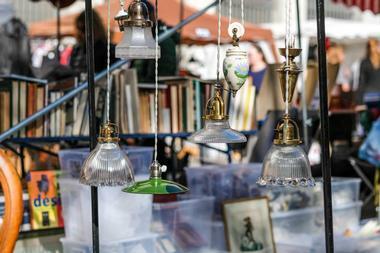 The SoWa Vintage market is free to explore and offers ample parking nearby for a small fee. Set on the second floor of a historical building on Main Street, the Sturbridge Flea Market sells all sorts of goods from antiques, home decor, and retro furniture to children’s toys, fine jewelry, and clothing. The market also features a unique booth full of old Boy Scout and Girl Scout memorabilia and is a trove for treasure hunters looking for something special. 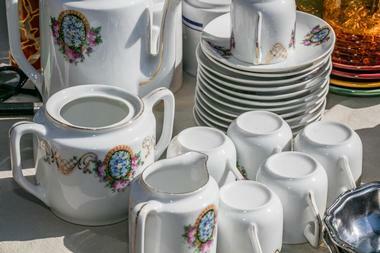 The Sturbridge Flea Market is open from Tuesday through Sunday from 10:00 am to 6:00 pm. The Somerville Flea is a small-scale open-air market that focuses on local artisan and vintage items as well as fresh produce and craft food from artisans and hosts live entertainment from local musicians and bands. Located in Somerville’s Davis Square, the market is open every Sunday from June through October from 10:00 am and sells a variety of unique items, including a great selection of vintage clothing, antique furniture, retro decor, and upcycled items. The market also features a special farmer’s market that sells fresh, local produce and homemade food and drinks, and often hosts night markets throughout the season. 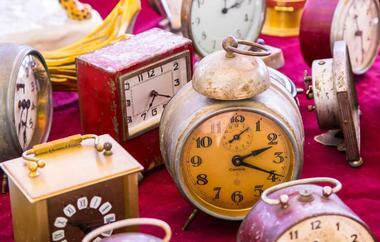 The Wellfleet Flea Market is the largest flea market on Cape Cod and features over 300 vendors selling wares ranging from retro furniture and home decor to vintage toys, clothing, jewelry, and many other items. The market is located in the parking lot of the Wellfleet Drive-in movie theater and is open on the weekends and on two weekdays (Wednesday and Thursday) from 8:00 am to 3:00 pm. The market features over 200 vendors selling an array of items, including old postcards and records, movie memorabilia, costume jewelry and casual clothing, antiques, gardening tools, and more. There are modern restrooms and a children’s playground at the market, along with plenty of free parking. 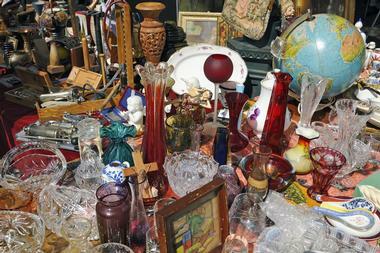 The Yankee Flea Market is one of the premier indoor flea markets in the Pioneer Valley with more than 160 vendors selling a vast selection of bargain and treasures. Located in Palmer, the huge market boasts over 12,000 square feet of space and hosts vendors whose stalls heave with art and crafts, antiques, retro furniture and home decor, ornaments and crockery, and vintage clothing and records. 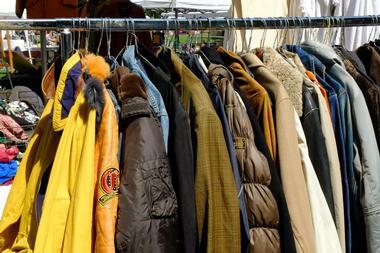 The Yankee Flea Market is located on Park Street and is usually open from Tuesday through Sunday from 11:00 am to 5:00 pm.